The broadest set of IoT partners offering deep domain expertise and solutions built on AWS from edge to cloud. The next phase of the digital transformation is IoT. Digitizing things, from light bulbs to industrial manufacturing equipment to smartwatches, creates opportunities to increase operational efficiency and build new revenue streams. Even as IoT advances, its inherent complexity causes many projects to remain incomplete. With AWS IoT services and our APN Partner community, we can help you plan, develop, and successfully execute an IoT project that meets your specific business needs. The AWS Partner Competency Program has vetted, validated, and verified the APN Partners below as having demonstrated success in providing specialized edge-to-cloud IoT solutions. Devices are at the foundation of most IoT projects. To help you source the trusted devices you need, we created the AWS Partner Device Catalog where our APN Partners list their qualified hardware for purchase. With the AWS Partner Device Catalog, you can explore, build, and go to market with successful IoT solutions that realize the value of IoT. Learn how you can qualify your IoT hardware with AWS IoT Core, AWS Greengrass, and Amazon FreeRTOS with the new AWS Device Qualification Program (DQP). Hardware, and software ingredients used to build IoT devices, or finished products used in IoT solutions or applications. With AWS and Intel, you can implement an IoT solution quickly and with minimal upfront investments, bootstrap connectivity, and deliver enhanced security from device to network to cloud, then use AWS Big Data services to drive business insight. Complete portfolio from gateways and embedded systems to remote management and design services. Digi is a global provider of IoT connectivity products and services. We help our customers create next-generation connected products, and deploy and manage remote devices in demanding applications with high levels of security, relentless reliability and bulletproof performance. AWS IoT policy setup for embedded hardware solutions. Zero touch private key provisioning to secure IoT equipments. Microchip provides a comprehensive portfolio of embedded solutions and enable customers, reducing their time to market offering kits such as the IoT Ethernet kit and Zero Touch Provisioning kit powered by AWS IoT. Data aggregation hardware and/or software connecting edge devices to the cloud and providing on premise intelligence as well as connecting to enterprise information technology ("IT") systems. MachineShop enables customers to quickly and easily connect and manage Linux-based devices to your AWS IoT account. MachineShop’s embedded software, MachineShop EDGE, enables direct integration with AWS IoT providing advanced features such as remote device management and rules/events executed at the edge. RESTful API’s allow easy integration into any application. Cloud based platforms to acquire, analyze, act and act on IoT data. Provide one-stop solution from beacon device to apps and content management service in the cloud. Provide one-stop solution from sensors to application development and making a valuable service in the cloud. Customers can launch a service quickly into the market, increase sales by providing new purchasing experience and improve customer loyalty. Ayla Networks provides an Agile IoT Platform that accelerates development of IoT Products. Ayla’s delivers an end-to-end platform that runs across devices, cloud and apps to create secure connectivity, operational management, data analytics and value business insights for connected products. Bright Wolf Strandz brings a faster path to production, providing complete data modeling and management, sophisticated policy-driven access controls, device lifecycle management, and out-of-the-box enterprise system integration. Bright Wolf is a trusted partner for building Enterprise-class connected product solutions on top of AWS IoT. Bright Wolf has delivered large-scale production deployment across industries including healthcare, heavy equipment, energy, fluid management, agriculture, and cold chain transportation. A complete software solution engineered for business and industrial IoT use cases. C3.ai provides a proven, full-stack platform for building next-generation enterprise IoT and big data analytics applications. 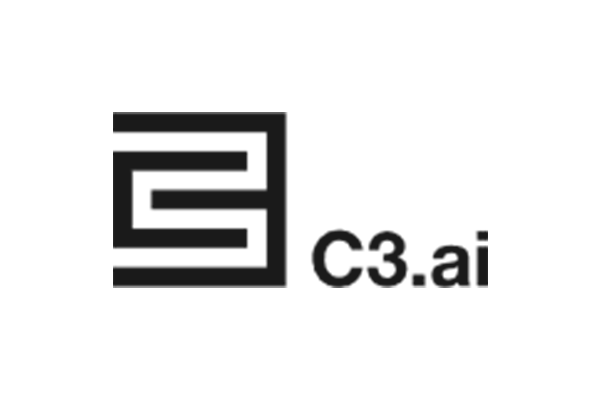 The C3.ai Platform leverages the full power of AWS for the rapid design, development, deployment, and operation of next generation IoT and big data SaaS applications – applying AI at scale across a multiplicity of data sources to generate and manifest predictive insights in real time. DevicePilot is a universal cloud based software service allowing you to easily locate, monitor and manage your connected devices at scale, with proactive management of the entire device lifecycle. EnOS is the Digital Foundation of Energy IoT Platform, Enabling Industry Transformation. EnOS provides an integrated/secure/open IoT platform for connecting devices and third party systems, mapping real world unstructured data to the digital models, processing data in real-time and batch manners, generating business insights,and automating/orchestrating energy flows of the entire system. SmartObjects is a turnkey IoT analytics solution for connected product manufacturers. SmartObjects is a full IoT data stack in one SaaS solution. It provides a real-time and comprehensive view of any connected product and is tailored to the entire product lifecycle. Insights are actionable and catered to all corporate stakeholders. ThingLogix provides IoT solutions, solution components, development services, and advisory services. Foundry, a cloud-based solution development and management platform, offers critical core functionality for managing the entire solution lifecycle. Foundry Packages are sets of composite functionality that enable market-facing IoT solutions for specific industries and use cases. Development and advisory services bring IoT solutions to market and help companies maintain them over time. Systems to manage wide-area connectivity for edge and gateway devices. Enabling OEMs to become IoT service providers - Run local operations worldwide effortlessly. Amdocs IoT Marketplace is a SaaS based solution bridging OEMs to Amdocs large customer base, enabling them to operate worldwide through local service providers and enjoy solutions for exposure, billing, invoicing, connectivity, support and more. IoT connect is a self-service portal used to define, provision and manage secure private IP networks for IoT. Asavie IoT Connect simplifies connecting IoT devices on the network Edge to AWS cloud, hybrid architecture and on-premises’ environments. Asavie enables an on-demand service to securely connect and manage IoT devices to where you need. New, secure, automated and scalable IoT connectivity solution for global device deployment; reduces TCO for AWS Cloud customers. Eseye’s revolutionary multi IMSI SIM securely unites the AWS Cloud with AnyNet cellular connectivity for devices across the globe. It seamlessly integrates into the AWS IoT Management Console to remotely activate, provision, authenticate and certify things globally. Soracom connects IoT devices directly to customers' VPC and AWS services such as AWS IoT and Amazon Kinesis. Soracom bridges AWS and 2G/3G/LTE cellular and LoRaWAN networks by using its cloud native mobile core network built on top of AWS. It offers private peering with customer VPCs and proxy endpoints for devices to easily integrate with AWS services. EMnify provides an innovative, secure and scalable Global M2M/IoT Connectivity Management Platform. We offer worldwide connectivity, easy-to-use Web UI and REST API for connectivity management, automation and full IoT stack integration. We offer worldwide connectivity, easy-to-use Web UI and REST API for connectivity management, automation and full IoT stack integration. Our Mobile Core Network was built for IoT, completely operated as a cloud service, offering our customers SDN, enterprise-grade security and VPN cloud peering. Plintron's eSIM4Things is Plintron’s IoT connectivity & management brand. Along with IoT Connectivity and Coverage in India, eSIM4Things comes with coverage in 190+ countries globally. eSIM4Things works with Plintron’s own IoT connectivity manager, and IoT platform (which leverages AWS IoT). Plintron offers a truly end to end IoT offering in the market today. IoT Consulting Partners possess a proven track record of designing and implementing advanced IoT solutions for clients and focus on integrating and migrating multi-vendor subsystem technology and services into a fully operationalized system. Transformative industry-specific IoT solutions enabling enterprises to implement at speed and scale. Accenture with AWS help enterprises achieve digital transformation with the Internet of Things (IoT) through the powerful combination of our market-leading assets, specialized capabilities and global resources. We help clients take advantage of standard software and hardware components to help and accelerate the development of connected IoT solutions in various industries including industrial equipment, consumer electronics, automotive and semiconductor. Aricent is the world’s leading engineering, services and software company. We specialize in inventing, developing and maintaining our clients’ most ambitious initiatives in the communications domain. ClearScale can design and automate your unique IoT platform and build applications for your devices. ClearScale has the proven ability to enable efficient and speedy processing of high volume data and analytics to and from any number of Internet of Things devices. In other words, millions of devices and billions of messages all seamlessly supported on your company’s uniquely adapted IoT platform. Strengthened by cloud technology partners and its 600+ successful cloud engagements, HPE has deep experience helping build enterprise-ready IoT solutions. Leveraging proven methodologies, HPE delivers a broad range of IoT consulting and implementation services for a wide range of use cases, including predictive maintenance, trade finance automation, asset management & tracking, logistics optimization, device management and autonomy & control. Intelzone’s services unite a fragmented ecosystem to unlock the true potential of the IoT. IntelZone acts as a strategic consultant, analyzing your brand’s current performance with the aim of optimizing every step required to establish the best possible foundation for your brand(s) to succeed in the future with IoT. Our unique software architect requires no software installation to your cloud infrastructure, no more resource wastage and drastically reduced the time and cost. Instant up and running when you decide. Discover the correlation and dependence of data value Visualize the diversified data into different charts and share with different roles of the organization or external partners. We are helping make IoT easier and faster to apply to the home, factory, farm, and medical applications. Customers will be able to do business faster by using the IoT platform we have already built. We support IoT solution deployment and operations, consulting and training to help customers succeed in their business. Our engineers can support the solution construction, and the Managed Services. You can start your business in less time using our IoT platform without waste of time. End to end IoT expertise from advisory through engineering in industrial, operational, and consumer contexts. Our customers change the way the world does business. From a well-defined project or the beginning of a vision, Luxoft offers end-to-end capabilities to ensure clients benefit from a single execution journey, from envisioning to market impact. We create compelling mobile & IoT digital experiences across healthcare, life sciences, and retail/hospitality. Mobiquity builds custom software for clients across verticals, with mobile, IoT, and Alexa voice applications at the core of what we deliver. We have standardized custom software builds on AWS. Oblivion Cloud Control is your partner of choice for IoT solutions. Our holistic approach will help you achieve incredible results at any stage, from consultancy to deployment. We create scalable, highly available and cost effective IoT solutions leveraging the most advanced AWS services. Our AWS expert team is ready to fully design, deploy and manage any IoT workloads. Onica architects, builds, deploys, and manages custom solutions for the Internet of Things and medical devices. From strategy to execution to ongoing management, our team consistently delivers IoT projects across a wide range of industries. From strategy and design through architecture and DevOps, OST has worked with teams across every stage of connected product development and works alongside your team to navigate the organizational and technical hurdles that come along with your IoT project entire system. Solstice builds transformative IoT experiences through agile, human-centered design & rapid experimentation. Solstice IoT offers customer experience-driven IoT application strategy, design, and development. With over 300+ engineers, designers, and strategists, Solstice is focused on building the next wave of connected, digital products on AWS IoT. Storm Reply helps companies to speed up the developement of connected IoT solutions spanning multiple market sectors. Storm Reply is an AWS Premier Consulting Partner and the specialist for professional cloud computing services in the Reply network. Trek10 is expert at building serverless IoT solutions with multiple enterprise deployments under its belt. Trek10 builds massively scalable, highly available backend infrastructures for IoT solutions that can be rolled out quickly and elegantly scale to support tens of thousands of devices with minimal upfront investment & incredibly low operating costs.